With DC Local Locksmith Experts’ master key system installation and repair services, there will no longer be a need to carry a large key ring with hundreds of different keys. Let our commercial locksmiths in DC set up a master key system for your office so you have one key for several rooms of your choosing. 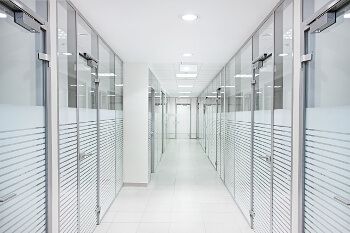 It’s an easy and efficient way to control access in your office. We also offer free estimates and encourage you to go ahead and call our friendly and dedicated staff who are happy to provide you with excellent customer service and will help you to quickly get your master key systems set up. Since we are a complete DC locksmith service, have 5+ years’ experience, are on-call 24/7, and have 30 minute response times, you can rest assured that we can fully meet all of your commercial security needs. We also offer competitive, upfront pricing as we proactively seek to provide our customers with the best service and products at reasonable prices. What Makes Us Expert Locksmiths in DC? At DC Local Locksmith Experts, we strive to make our customers happy. Our goal is to provide expert and outstanding customer service with our master key systems. With 5+ years of experience under our belt, we continue to grow and that means our customers are happy, they keep coming back, and even tell their friends that we are the go-to, top locksmith company in Washington, DC and surrounding areas. Offering honest and upfront pricing, fast and friendly technicians, 24/7 locksmith service, mobile locksmiths, and an incredible 30 minute response time, we are serious about providing outstanding customer service. We are also completely bonded and insured. So you are in excellent hands with our expert technicians and who are eager to provide you with excellent master key system installation and repair services. DC Local Locksmith Experts provides a variety of commercial, residential, automotive, and emergency locksmith services. Day or night we can help you with your home lockout, rekey, lock installation, or repair needs. With 24/7 locksmith service in Washington, DC and a 30 min response time, we are your go to locksmith in the Washington, DC area. Go ahead and give us a call and we’ll be delighted to quickly take care of all your locksmith needs! We are a fast and friendly commercial locksmith company devoted to offering all of our customers outstanding and professional services, honesty with upfront pricing, outstanding technicians, highly skilled installation and repair services, and high tech locks and commercial security hardware. What sets us apart is that our highly skilled and knowledgeable technicians are constantly being trained in the most superior and advanced lock technologies. Our commitment to our customers is what also sets us apart from the rest, as we guarantee 100% customer satisfaction on everything that we do! So go ahead and give DC Local Locksmith Experts a call for your master key system needs. Master Key System Installation & Repair https://dclocallocksmith.com/commercial-locksmith-dc/master-key-systems-dc/ 4.1/5 based upon 28 reviews.